Our algorithm searches the internet automatically and informs you immediately and free of charge via email whenever we find an error fare, enabling you to travel for super-low prices. Enter your email address or download our App. We search the web for error fares automatically. Whenever we find very cheap travel deals, we will inform you immediately. These selected examples have been available in the past! Fly business class and stay in the best hotels for almost nothing! Fly business class from Frankfurt to New York? Fly from Germany to Madrid and back? Stay overnight in a 4-star hotel in Amsterdam? And fulfill more of your travel dreams! Like many others, we love to travel - and we like to do it as cheaply as possible. At some point, we began visiting sites like MyHolidayGuru and HolidayPirates to try and find travel bargains. But it took a long time to find deals we were really interested in. 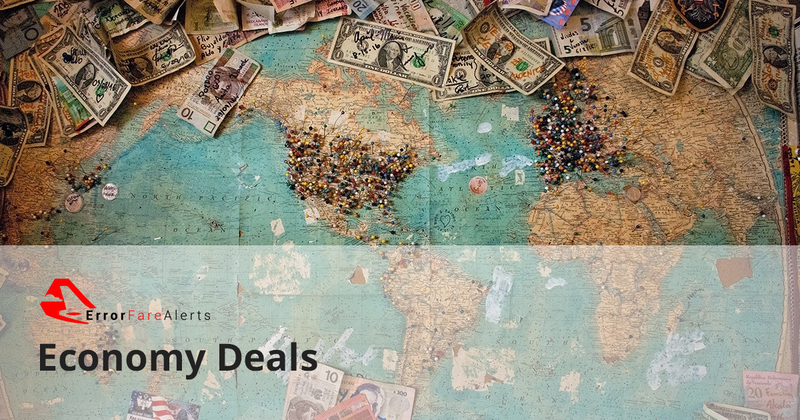 Okay, we thought it must be possible to automate this process somehow, so that we are notified of deals for our selected travel destinations via email and do not have to wade through 100 other offers to get to them. That is how we came upom the idea of using Google Alerts in combination with the site: search operator. Google Alerts is a service that allows you to enter search terms and receive an email from Google when new content relating to these terms is published. Of course, we did not want Google to search the whole internet for our search terms, but rather a few specific sites (such as HolidayPirates); this is where the site: search operator came into play. Simply enter site:holidaypirates.com + your travel destination into the search field - and hey presto, you receive only new content that relates to your selected destination. We then came upon the idea of using this same method for error fares: Google could also send an email for each new extremely cheap travel deal that appeared! All it would take was to combine site: search operator (holidaypirates, my holidayguru etc.) with "error fare" in Google Alerts. Simple as that! The upshot of all this was that we decided to develop our own automated alert service. And no sooner said than done: after a 2-day workation in Hamburg with the current ErrorFareAlerts Team – Benjamin, Rui, Bruno and Antonius - our "MVP" was up and running. And because we are so happy with our creation, we have made it available for you online for free: Simply enter your email in our mailing list! You will never be charged for using the service.